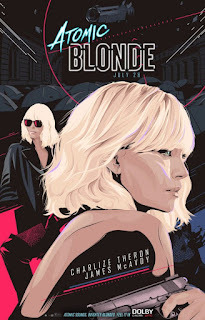 Janet's TAKE: Charlize Theron packs a punch while conquering the spy genre. B+ Highly stylized sets and costumes along with well-choreographed fight scenes make for an entertaining Berlin Wall-era espionage film. A few laughs along the way lighten up the drama.